Below is a list and description of previous Beer Cartel Club beers. Swimming in a fresh water pool at the base of a cascading waterfall is what we all imagine we would find in paradise. On Maui, follow the old Hana Highway and you will find such a place - Wailua Falls. This plunging cascade of clear water is the inspiration for our Limited Release Wailua Wheat Ale. This golden, sun coloured ale has a bright, citrus flavour that comes from the tropical passion fruit we brew into each batch. Sit back, relax and enjoy paradise anytime. Australian IPA brewed with all Aussie hops and malt. It follows single hop IPA experiments featuring Topaz and Vic Secret and adds some Ella and Galaxy hops as well, all atop a "very simple" malt bill. The resultant beer "sings of sweet tropical fruits and zingy citrus - think pineapple, mango, lemon and grapefruit", which sounds delightful. At just 5.1 percent ABV with a restrained bitterness, it's an IPA designed for revisiting. Drawing influence from our brewer's San Diego heritage, Coast Ale is our take on the California common ale and reminiscent of epic south coast adventures, surfing & exploring with good friends. It's fresh, crisp & clean with a rich malt body, fruity hop bitterness and smooth rounded finish. Best enjoyed up & down the coast. We never imagined that our English style 4.5% Brown Ale would win so many hearts! Classic flavours of caramel, chocolate, nuts and coffee are balanced by Australian hops, creating a rich reddish-brown coloured ale that loves pint glasses. More refreshing than a face full of Freo Doctor, we brew this beer with sun-drenched summer days in mind: light-bodied and chock full of aromatic Galaxy and Enigma hops. Big tropical fruit bowl aroma is balanced by subtle bitterness, and a clean finish. Our Seasonal New England IPA is a beer with a soft and silky mouthfeel that is purposely hazy from the use of oats. It's low in bitterness but packed full of hops, in fact more hops that we've ever used before, all of which were added in the whirlpool and during fermentation. The result is a beer that is super juicy and full of tropical flavours. 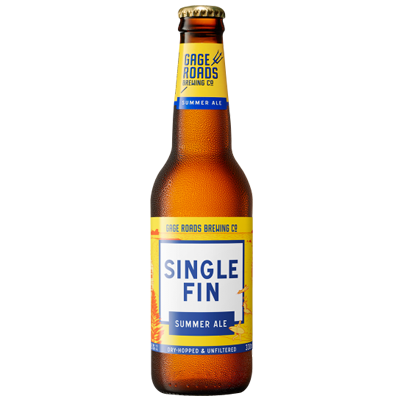 A refreshing ale made from Australian malts, lightly hopped to give a tropical tasting flavour and aroma. Every brew has fresh Yallingup West Oz seawater to leave a lengthy palate. 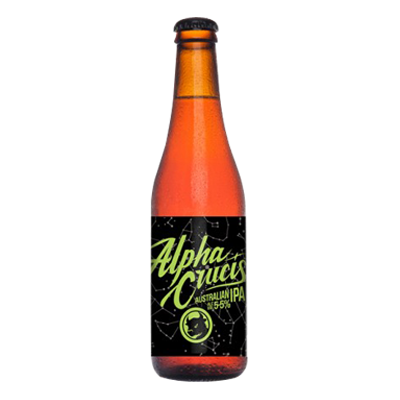 Brewed in collaboration with surfing legends Taj Burrow, Dino Adrian and Jay Davies. There's a pile of clichés we won't deploy here attesting to the fact that you can never take anything in this world for granted. Sure enough, just as Tuatara's beloved American Pale Ale looked like getting bigger than Texas, our supply of the mighty American hops that defined it started to go wobbly on us. Undeterred, we set to crafting a local solution. 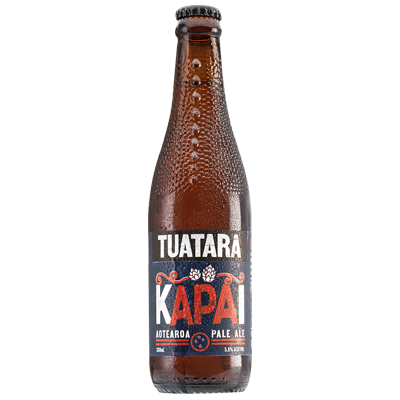 Aotearoa Pale Ale takes the spirit of the old APA and reanimates it with a hopping regime that's as kiwi as a 25 year mortgage. The same-but-different local recipe (Pacific Jade, Cascade, Sauvin and Wai-iti for all you trainspotters) is well within the remit of the original APA, but with a deep, long, new age flavour profile. 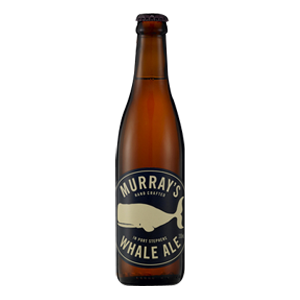 Murray's Whale Ale is a refreshing wheat beer with a twist. 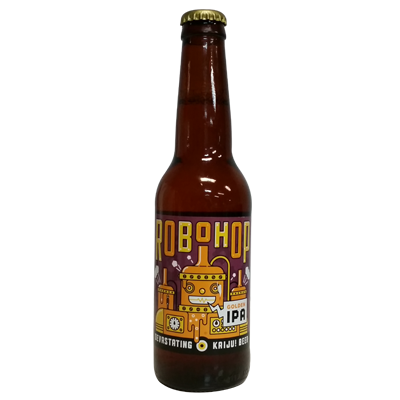 Its high percentage of malted and unmalted wheat and aromatic late hop profile gives a unique take on a session strength ale. A classic light body, creamy mouthfeel and refreshing citric flavour. This is balanced with assertive late hopping, giving a fresh, light tropical fruit aroma and cleansing dry finish. Murray's Whale Ale is light gold in colour with the traditional cloudy appearance of wheat beers. 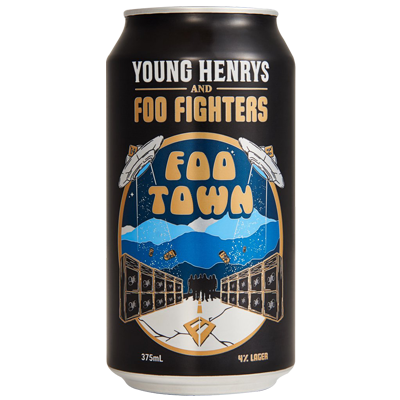 Foo Town is a smashable, 4% Aussie lager, with a touch of wheat. A touch of US hop Azacca dropped into a seething mosh of Aussie hops and malts heralds the Foo Fighters' epic Aussie leg of their Concrete and Gold World Tour. 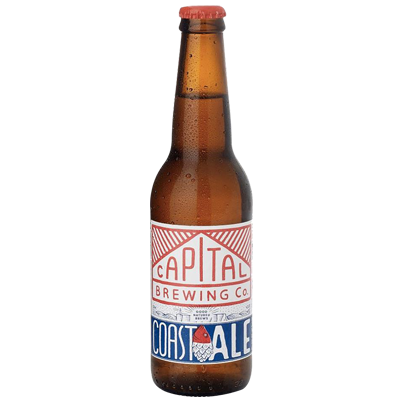 The result is subtle tropical and citrus flavours with a classic Aussie lager finish. Best served loud. Bricks form the strong foundation of a good home. 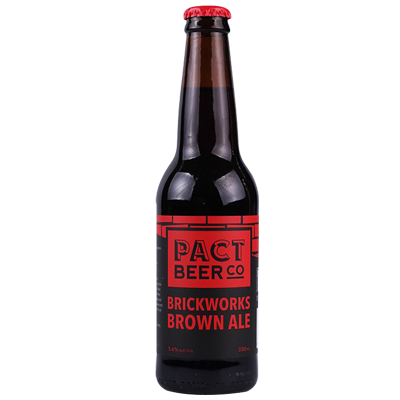 Brickworks Brown forms the foundation of a good time. A solid landmark of flavour draped in the florally fragrant and earthy vines of Ella hops and blooming fruit from our house favourite Cascade. Malty. Chocolatey. Roasty. Toasty. The ubiquitous Pale Ale. The workhorse of pretty much any modern brewery. 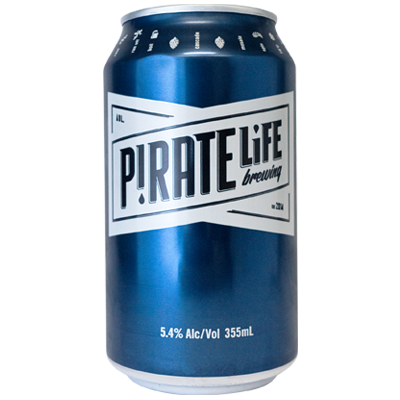 The brief we (Pirate Life) gave ourselves for our flagship beer was that it should be able to be sent to any bar in San Diego and to stand proudly alongside the many great Pales produced in, and around, the west coast of the US. The schematic for a West Coast Pale Ale is bucket loads of big US hops, full malty backbone and a characterful yeast. That is what this Pale Ale is all about. Enjoy as fresh as possible. Beer pairing: Everything, all of the time. 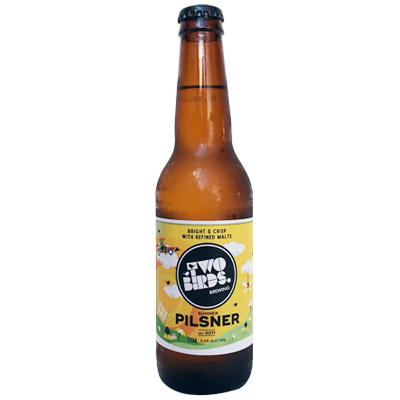 Two Birds Brewing have teamed up with the Western Bulldogs to create a new Australian lager, to be served at Victoria University Whitten Oval during the 2018 AFLW season and beyond. 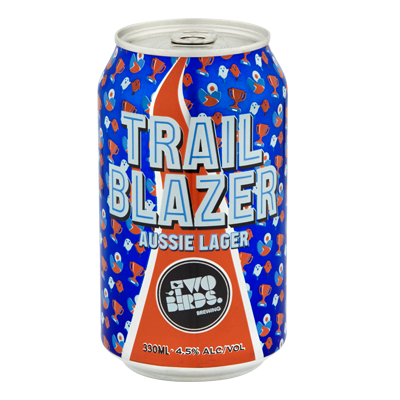 Trail Blazer encapsulates the values that Two Birds and the Bulldogs hold dear - mateship, winning spirit, commitment, effort, hard work and passion. We spent a good part of our formative years living in Temora in Southern NSW. A trotting town, one of Temora's most famous exports was the great harness racing horse, Paleface Adios. Known as the Temora Tornado, the white-faced chestnut was a superstar in his day winning 108 races over an incredible 9 year career. Go you good thing! 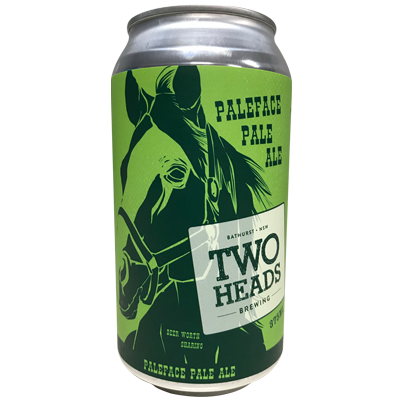 Our Paleface is loaded with a unique blend of Aussie and Kiwi hops, and tends towards a chestnut colour with a foamy white head, just like its namesake. It's the perfect choice for a day on the punt. 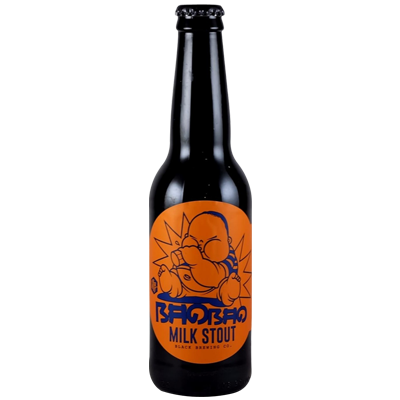 Rich chocolate and coffee notes on the palate with the sweetness of lactose gliding over the Tongue. Brewed with chocolate, caramel and dark roast malts Bao Bao is a balanced milk stout with no cloying sweetness, but rather a balance between bitterness from the rich malts and hops, and the smoothness of lactose. Smooth and sessionable. ? Bao Bao is Chinese for baby or little treasure.......oh we can assure you this little baby is a treasure! This vixen's brewed with a generous selection of standout malts, sourced from around the world and paired with a killer Aussie hop variety: Vic Secret. The malt complexity in this femme fatale gives her extra body and an unrivalled mouth feel. In the end, she"ll break you off, leaving you with a comfortable, dry finish. 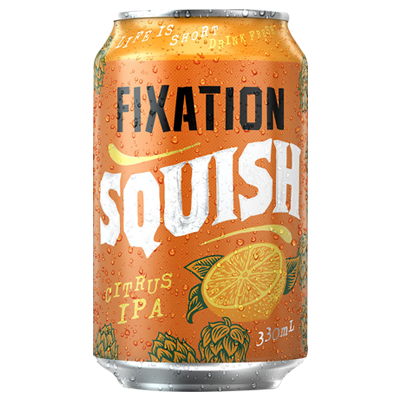 Fixation SQUISH is a Citrus IPA showing clean smooth bitterness, with aroma of orange and tropical fruits. This is supported by fresh citrus notes from the addition of blood orange and white grapefruit. Life is short, drink fresh! Ah love is bitter and sweet, but which is more sweet, the bitterness of the sweetness, none has spoken it. 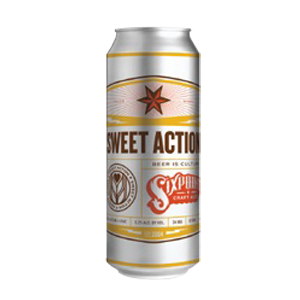 Sweet action is an idea; a concept. It is a simple representation of what makes beer great - the marriage of barley and hops in a harmonious balance of sweet and bitter! 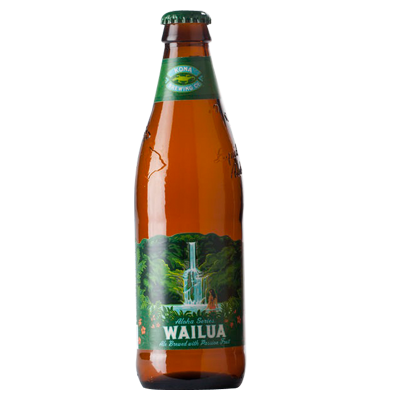 This limited release Pilsner is brewed using New Zealand South Island hops and is full of lupulin (hoppy) goodness. The fruity aromas are sharp - expect to smell white peach and freshly crushed grapes, along with a hint of gooseberry. 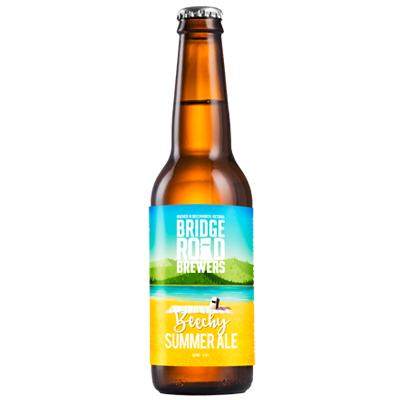 Beechy Summer Ale is a beer that can trace its roots back to our first commercial brew, in the original brewery in Ben's dads shed back in 2005. 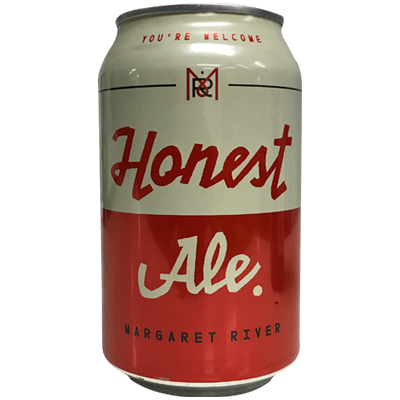 This original beer has evolved through the changing tastes of customers and the availability of exiting new locally grown hop varieties. 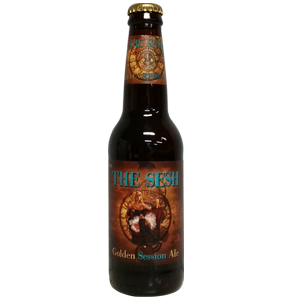 A nice easy drinking sessionable beer, it is perfect for hot summer days. Take a journey to flavour town! A town with a sensible approach, this is gonna be a long, chilled-out perfect day full of fun times. 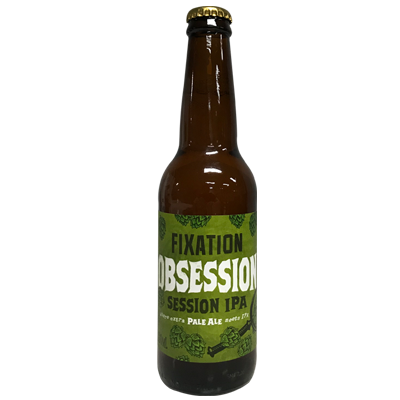 Fixation Brewing Co. won Champion Medium Brewery at the 2017 Craft Beer Awards. Obsession is coming in at 4.6% abv and loaded with US Mosaic and Simcoe hops. We are obsessed.